From a dance, presenting and acting background, Jemma has always had a strong attraction to the Spiritual Path for self-discovery and self- development from an early age. This has led Jemma not only embracing yoga, qigong, meditation and other ancient teachings for her own personal evolution, but also dedicating her life to the pursuit of balance and transformation of many others on this exquisite journey of Life. Jemma’s fulfilment is in revealing our true nature, to reach our full potential so we may all live a life full of love, inspiration, authenticity and freedom. Her multicultural mix, her alchemy of Meditation, Yoga and Qi-Gong, as well as her successful performing career as a professional dancer, presenter and actress give her a fusion of qualities unmatched and truly magical to experience and has made her a truly gifted teacher. Knowledge and empathy for her students comes from her magnitude of experiences and adventures as a modern day explorer into many varied indigenous cultures and other healing modalities. Her calming voice, pure heart and beautiful spirit, make those who work with Jemma feel truly swept away in her flowing grace as she brings out the inner essence of each of her students in her unique hybrid practice. Jemma’s passion for presenting has led to many professional projects, including presenting on the wellbeing program “Wellspring” (Spa channel on Foxtel). As well as contributing in articles of Good Health & Medicine Magazine and Body & Soul (Sydney Morning Herald). 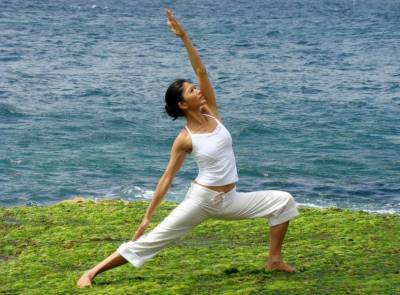 Her vision is to take these Ancient Wisdom into the modern world to as many people as possible, with time dedicated to corporate yoga/qigong, retreats, workshops and individual one on one sessions. Jemma’s plans are to produce Jing Life videos/dvd’s and other future merchandise that may assist and bring about change for conscious living, healthy lifestyle and deep connection with one another, our communities and our world around us. She is committed to bringing hope, joy and beauty to as many people daily. As well as Jemma’s spiritual endeavours, she has also gained continued success as an actress and has successfully balanced all her passions in life.